So, after many years of studying, you are finally at the end of your educational journey. But before you get that coveted degree, there is one final hurdle, the writing of your dissertation. The dissertation is a research project on a topic of your choosing, based on your field of study, that you must complete in order to fulfil your graduation requirements. A dissertation is not to be confused with a thesis; while they are both research papers, there are some differences between the two documents. A thesis is typically writing a dissertation for a master’s program to show your knowledge on a topic whereas the dissertation is done for a doctoral program and aims to provide an opportunity for the student to share new knowledge, theories or practices in their chosen field. A thesis is usually about one hundred (100) pages in length and shorter than a dissertation. What are some of the common problems encountered when writing a dissertation? At this point the beads of sweat are forming on your forehead just thinking about having to write a dissertation, isn’t it? 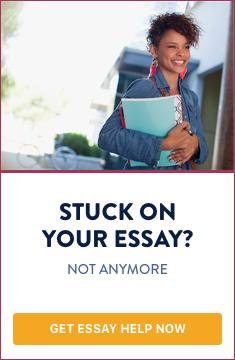 Yes, writing a dissertation can be a daunting task and there are many reasons why students have problems writing them. Here are the three main reasons why dissertation writing can seem challenging. Procrastination is the number one reason for problems encountered by students writing their dissertation. Too often, students believe they have more than enough time to get the research and writing done that they put it off. When the deadline for dissertation submission approaches and they realize the volume of work the research project actually entails, they become flustered and start to panic. To prevent this, do not procrastinate. Start your dissertation writing process the moment you are made aware of the project. This will save you a lot of time, energy and stress later. Insufficient research skills are another sore point for many students. Students often neglect to use the correct research tools and resources available to them. It is good to note that while Wikipedia may be a wealth of information, it is not a credible source. However, the reference list at the end of each article can be useful in providing resources pertinent to your research. Be sure to use credible websites such as Google Scholar and the Cochrane Library as well as publications, periodicals, etc. from your local library. Insufficient writing skills. Many students are not sufficiently confident in their mastery of spelling and grammar and so they make mistakes when writing their dissertation. In addition to this, there is also the issue of using the appropriate referencing format. Be sure to check with your department what referencing style should be used, whether Modern Language Association (MLA), American Psychological Association (APA), Chicago or otherwise. Are you feeling scared or anxious? If so, there’s no need to worry. This is a guide for how to write a dissertation and it is also very useful for how to write a thesis. In it, we will provide all the information you need to know about how to write a good dissertation and how to write a good thesis. We will provide dissertation tips and guidelines on how to write a dissertation proposal, how to do a dissertation structure, how to carry out your dissertation research and how to do your dissertation format and dissertation layout. All you need to do is follow these tips and ensure that you use this dissertation manual during the process of writing your dissertation or thesis paper. Is there a particular problem of interest that I want my dissertation to tackle? If so, what is it? How is this problem important or impacting my field of study or community? Is there a solution and how important it is to find a solution? What avenues are available to research this topic and find the solution? Brainstorm for unique, reasonable and researchable ideas that will benefit your community. Avoid complex questions that may result in a dead end. Instead, look for questions with an easily testable and proven hypothesis. Discuss alternatives with your supervisor or mentor. Title of the dissertation. The dissertation title is your area of focus for the research paper. Make sure it is interesting as it can be a point of discussion for future employers. Objectives. This is what you aim to achieve by doing the research on that particular topic and how you plan to achieve it. For a well thought-out and properly done dissertation paper, try to have at least three objectives. Literature review. This is a compilation and description of relevant research previously done on your chosen topic. Research. Be sure to clearly outline all the relevant areas of research and elaborate on the ideas for your dissertation question. Methodology. A detailed explanation of what methods will be used to carry out the research and the writing of the final dissertation paper is required here. Be sure to explain whether your dissertation project will be non-empirical (use of data from previously published projects) or empirical (use of data collected by your administration of questionnaires and other methods). Potential Outcomes. These are the possible expectations for the research, what you believe will be uncovered by your research. Timeframe/Timelines. A schedule with timelines and deadlines should be created as a way of keeping on track with the various stages of the project for a timely completion. References. This demonstrates the depth of your research and highlights the sources of information used throughout your research. Conducting research for your dissertation requires careful planning and organization. As a result, it is important to follow these three steps to ensure success. Creating a realistic timeline for the research stage. Read widely and extensively to make sure you get sufficient relevant resources for your research; make sure you assign time to end this stage so as not to get too caught up and lose track of time for other aspects of the process. Identifying the best sources of information. Make sure you use credible and trustworthy sources of information such as Google Scholar, Cochrane Library, suitable publications and periodicals, etc. for your research. Accurate and appropriate organization of resources. Use notetaking tools such as Evernote to take good notes and keep track of your sources and other information used in your research. While there are different schools of thought regarding dissertation structure, the most commonly used one follows the below outline. Title page. This must be a clear and concise outline of the title and subtitle, if necessary, of the research paper, the name of the school, academic supervisor(s) name and contact information, date and place and the author and co-authors’ names. Each discipline has guidelines on how this page should be done so be sure to check with your department if this format is what is used. Abstract. Your dissertation abstract is usually one page in length and is an abridged version of the completed research paper. In it, you need to make sure your readers get a gist of your entire research; so you must include the aims, objectives, results, some discussion points and your conclusion in this section. This is especially important in case your thesis is accepted and registered in a database and must be used as a stand-alone document. Acknowledgements. In this section, you need to thank all the persons who played a crucial role in the planning, researching and writing of your dissertation. Check with your department about any specific format in which this should be done or use other dissertations in your field as a guide. Table of Contents. This is a list of all the headings, sub-headings, etc. used on your research and shows your dissertation structure. It is a guide to knowing where to find different sections and sub-sections of your research. Introduction. The dissertation introduction is descriptive and gives some details about your research question, your purpose for the paper and the scope of your research. Materials and Methods or Literature Review. A comprehensive description of the existing research in your chosen field is required here. The aim is to provide some context to your research and how it relates to the established theories and research previously done. In it, you need to show where there are any gaps and how your research will fill those gaps. It is also in this section that you reference all the sources you have used and give a citation of these in the Reference section later in your paper. Results or Sources and Methods. The methods section explains how the research was carried out so that if, in the future, someone would like to do a similar study, it can be used as a guide. The results section outlines all the data uncovered during your research in the form of tables, graphs, charts, etc. The aim is to give all the relevant data and results in a form that is easy for the reader to review and understand. Discussion or Research Findings. For this section, you want to give a thorough explanation of your results and findings. You need to include your interpretations of the findings and any judgments you have so that you put context to your ideas related to the theories on the topic. Be sure to check with your department for guidelines on a specific format for writing this section as some disciplines have their own rules of thumb regarding this. Conclusion. This is where you state your final thoughts on the topic and state whether you met the aims and objectives of the research and whether or not your hypothesis was proved. References. The first thing you need to do is to check with your supervisor if your field of study or department uses a refence list or bibliography for dissertations. In the case of a reference list, you need to give a detailed list of the resource materials you used when writing your dissertation. This includes all quotes, paraphrases or referred content that was written or stated by someone else. For a bibliography, you need to list the resources you have read or looked at for your research. Appendices. This is a collection of the resource materials that were too long for the dissertation or could not fit because it would disrupt the flow of the paper. These pages are numbered and titled using a different numbering system so be sure to check with your department for guidelines that should be done for your field of study. The end is near but you are not done yet. Take some time to relax and recuperate from the writing process but after a few days you will need to review and edit your dissertation. Grab your dissertation proposal and get ready to review. Proofreading is where you review for style errors, grammar and spelling while in editing you review for the logical connections and transitions between the arguments you have posed. Many persons find it hard to proofread and edit their own work so using a professiaonal dissertation editing and proofreading service is recommended. Many students think that dissertation proofreading and editing can be done by their supervisor/mentor or a colleague in the same field, but truth is, it is best to edit and proofread the dissertation before it gets into their hands. You want to make sure the dissertation is as close to complete and perfect as possible. What your colleagues and mentor/supervisor are supposed to do is to read the dissertation and provide feedback. They should provide feedback on the content, weak areas, strong areas, etc. They should provide comments and guidelines on how to put forward the best dissertation possible rather than being saddled with reviewing for spelling and grammar. Just in case we haven’t covered all the bases, we have some frequently asked questions about dissertation writing that may help you. Take a look at them and see if there are any that may help you. What is the difference between a dissertation and project report? You can differentiate between a dissertation and a project report by the manner in which the paper is written. A report is written based on a predefined topic or area whereas a dissertation is based on a topic of your choosing and design. In a report, the research question is given but for a dissertation you research and come up with your own research question. Where can I find examples of PhD dissertations? The first place you should look for good dissertation examples is your university library. Usually, copies of PhD dissertations are catalogued, so it is a good place to start your search. Next, you can search publications and databases before doing a Google or Cochrane Library search. A good dissertation topic should show your ambition and passion for your chosen area. It should also connect to previously done research and have good foundation for future research. Here are some good topics in various subject areas. Assessing the growth of cryptocurrency in my country. Evaluating the constraints to the development of a microfinancing market in my country. Comparing financial evolution and innovation between my country and Asia. Consumer behavior and buyer personas: their role in marketing. Marketing nutrition: assessing how health products have moved from being niche to mainstream. An assessment of the impact of branding on decision-making. Organizational behavior in the health sector. Looking at customer loyalty programs: How effective are they? Evaluating the concept of civil religion. Discussing well-being and happiness: How do you achieve it? How is the 21st century shaping the morals and values of the modern man? Is a dissertation proposal necessary for PhD applications? Yes, a dissertation proposal is necessary for PhD applications. It will show your potential advisor/mentor and admissions officials the quality of your research, ideas and skills in critical thinking and indicate whether or not your research project is feasible. By now, you may realize that writing a dissertation is not an easy task but that it can be done. As such, it is important for you to review this guide on how to plan a dissertation and follow it as closely as possible to ensure the writing and completion of a winning dissertation. Congratulations on how far you have come and good luck for the rest of your journey.